AVATAR FC were crowned champions of the Columbia Asia Hospital Cheras World Heart Day 2018 Futsal Tournament after the team scored the winning goal in the final minute of the match. The hero of the team was 27-year-old Nigerian Akeem Azeez Akeem Yemi who caught even his teammates by surprise as the ball found the top corner of the far post when he converted the goal from a free-kick just just outside the penalty zone to win the match 2-1 against Caanan FC. He also assisted in the earlier equalising goal after Avatar had conceded one to Canaan in the first half as a result of a defensive error. Canaan capitalised on the error through a well-executed counter attack to lead 1-0 after Avatar were caught on the back foot from their numerous assaults on Canaan’s goal from the get go. The tournament was an initiative by Columbia Asia Hospital Cheras in conjunction with the upcoming World Heart Day which falls on Sept 29. 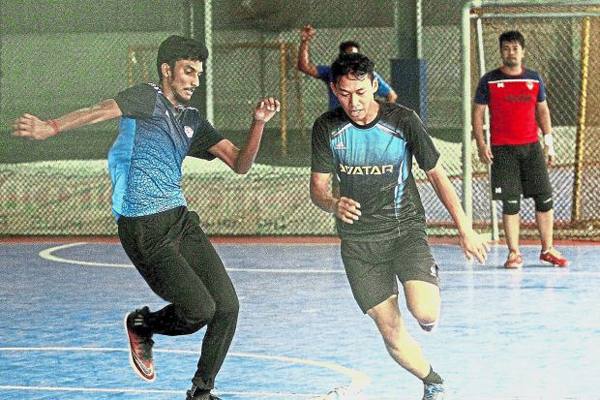 Columbia Asia Hospital regional general manager (West Malaysia) Engku Marina Engku Hatim said the tournament, dubbed “Kick and Dribble for your Heart Futsal Tournament” was part of the hospital’s ongoing Health Fest which kicked off at the start of the year. She said the tournament was the first sports event held under the Health Fest banner and just one of the many community engagement activities like medical screenings held this year. Engku Marina said the response towards the inaugural tournament was encouraging and it would not be their last. “We plan to hold bowling and badminton competitions next. “We are trying a different approach to promote a healthy living lifestyle among the community by organising this sort of activities,” she said, adding that mortality cases involving cardiovascular diseases in youngsters was rising at an alarming rate. “We want to encourage the community to stay fit and active since we believe that prevention is better than cure,” Engku Marina said. Earlier in the semifinal, Avatar defeated PJFC from Petaling Jaya 2-1 while Canaan beat Balakong’s Knockout FC 3-1. Both teams in the final hailed from Klang. Third and fourth placing was decided on penalties with team Knockout beating PJFC 3-2. Avatar team manager D. Eswaran said the team which comprised of mainly ex-state players did well to remain unbeaten throughout the tournament despite the high standard of teams they were competing against. “The players performed well overall but in most of our matches we were the first to concede a goal but managed to recover and win. “There were many good teams in this tournament and we are happy to have won,” he said adding that it was their third tournament victory in September. A total of 32 teams signed up for the tournament with the top four winners taking home RM2,000, RM1,000, RM500 and RM300 respectively.